What does it mean to be the nation’s doctor? In this engaging narrative, journalist Mike Stobbe examines the Office of the U.S. Surgeon General, emphasizing that it has always been unique within the federal government in its ability to influence public health. But now, in their efforts to provide leadership in public health policy, surgeons general compete with other high-profile figures such as the secretary of the Department of Health and Human Services and the director of the Centers for Disease Control and Prevention (CDC). Furthermore, in an era of declining budgets, when public health departments have eliminated tens of thousands of jobs, some argue that a lower-profile and ineffective surgeon general is a waste of money. By tracing stories of how surgeons general like Luther Terry, C. Everett Koop, and Joycelyn Elders created policies and confronted controversy in response to issues like smoking, AIDS, and masturbation, Stobbe highlights how this office is key to shaping the nation’s health and explains why its decline is harming our national well-being. Remarkably enjoyable and fast-moving...Eye-opening to anyone interested in American history and politics. A richly detailed account of the rise and fall of the United States surgeon general...An important book for policymakers. Many readers will lament the declining state of a post that has contributed much to the country’s health. Stobbe's skillful, engaging report is especially relevant today as the public's health continues to challenge the nation's leaders. 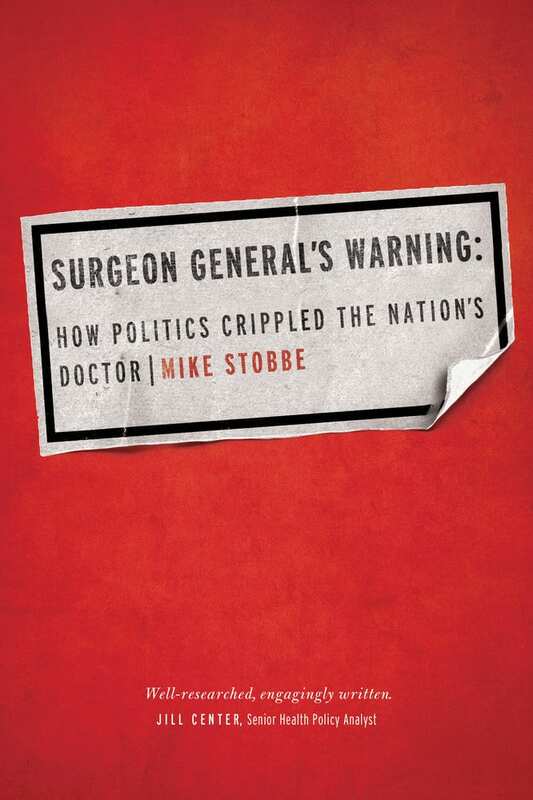 With the rare blend of a reporter's nose for a story and a scholar's fastidiousness, Stobbe chronicles the past century and a half of Surgeons General. The result is a stimulating perspective on the history of American public health. Stobbe’s research and portraits of the men and women who have held the post of Surgeon General are remarkable in their vividness and insights. Mike Stobbe's history of the U.S. surgeon general is more than a grand tour of American medicine. It is a thoughtful and engaging analysis of what the surgeons general did and do while pursuing the not-always-so-straight line of advancing the public's health. Surgeon General's Warning is a fascinating, thoroughly researched historical tour of the political battlefields of U.S. public health. We watch successive surgeons general lead noble charges—or beat cowardly retreats—in struggles to marshal indifferent, embarrassed, or corrupt administrations against plagues ranging from venereal disease to tobacco and from AIDS to obesity. Mike Stobbe is a national medical correspondent for The Associated Press, based in Atlanta. He covers the CDC, the American Cancer Society, and writes on a wide range of health and medical topics. He has a doctorate in public health policy and administration from the University of North Carolina. A riveting history of the Office of the U.S. Surgeon General and the 18 doctors who held the post...An outstanding resource on the history of U.S. public health.